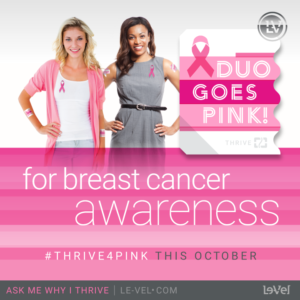 Le-Vel THRIVE and the National Breast Cancer Foundation (NBCF) are commemorating another year of partnership. Le-Vel THRIVE, a leader in the health and wellness direct-selling industry, is dedicated to helping individuals thrive in life by restoring vitality, mental clarity, and nutrition through their premium products. Le-Vel THRIVE’s mission closely aligns with the objective of NBCF. Janelle Hail, a survivor of breast cancer and founder of NBCF in 1991, has made it her mission to provide help to those affected by breast cancer. Annually in October, Le-Vel THRIVE launches their limited-release Breast Cancer Awareness Derma Fusion Technology (DFT). 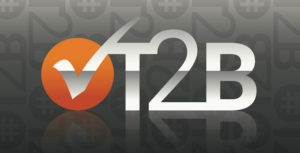 The DFT patch provides time-released nutrients and other ingredients that are absorbed through the skin. For each sale in October of the DFT patch, $5.00 goes to NBCF. In 2015-2017, Le-Vel THRIVE raised over $730,000. Additionally, the pink ribbon DFT patches are outfitted to serve as a symbol of hope and support and to raise awareness of the cause. THRIVERs took to social media to use the hashtag #THRIVE4Pink to bring attention to their efforts and cause. “We are so proud to support NBCF. Nothing could humble us more to see what our amazing group of Brand Promoters and customers can do. We’ve been so lucky to be successful in our mission to help people live a better life, a healthier life, and it is an honor to work so closely with a foundation that is truly making a wonderful difference,” said Le-Vel co-founder and co-CEO Jason Camper. The funds are used to provide early detection services to women all over the United States and contributes to the Helping Women Now ® mission. This is the third consecutive year that Le-Vel THRIVE and NBCF have worked together in efforts to raise money for the foundation. NBCF provides national mammograms to women who are uninsured or are unable to afford the preventive tests. The funds raised help to provide breast health education in local communities, free mammograms, and more. 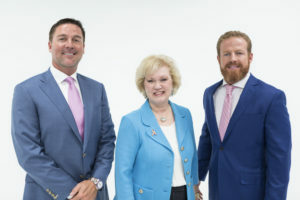 “We only hope that women will take advantage of the services NBCF offers so that we can see an increase in survivors in this nation,” stated co-founder and co-CEO, Paul Gravette. As of 2015, there were an average of 40,290 deaths in the United States due to breast cancer. In 2017, there are an estimated 252,710 new cases of invasive breast cancer in the United States, not including 63,410 non-invasive new cases. NBCF provides early detection services, support, and hope to those affected by breast cancer. Since 2015, Le-Vel THRIVE has raised over $730,000 for the cause and hopes to continue their support in the coming years. Le-Vel THRIVE was founded in 2012 by Jason Camper and Paul Gravette. Le-Vel THRIVE is a direct sales multi-level marketing business in the health and wellness industry. The company is the only health and wellness company using cloud-based technology for its operations. 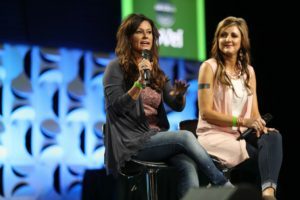 Camper and Gravette founded Le-Vel THRIVE in hopes of providing nutrition, supplements, and a supportive community of independent brand promoters and THRIVERS to allow individuals using the products to not only survive their day to day, but to THRIVE. Le-Vel is a billion-dollar company and has over 6.5 million brand promoters and customers. Le-Vel THRIVE received the Bravo Growth Award in 2016 for the largest growth in direct sales in the world. The company is dedicated to raising money for multiple charities and has contributed to NBCF, Toys for Tots, the Hoyt Foundation, Americares, and more. NBCF was founded 1992 by Janelle Hail, whom personally battled breast cancer. The foundation is recognized as one of the leading breast cancer organizations globally and dedicates itself to providing early detection services, breast health education, and support to those diagnosed. NBCF has received Charity Navigations highest 4-star rating for over twelve years. Stay updated on Thrivin’ Magazine Announcements. NEED A HAND FINDING WHAT YOU’RE LOOKING FOR? 2017. Copyright. Le-Vel Thrive. All rights reserved.